Back in action after three-long years, two-time Olympic-medallist Sushil Kumar took less than three minutes to bag a gold medal as three of his rivals gave him a walk over in men's 74kg freestyle competition of the National Wrestling championship here on Friday. Sushil battled for just 2 minutes and 33 seconds in total on the mat as he fought only two of his initial round bouts before three of his opponents -- in the quarterfinal, semifinal and final -- gave him a walk over. Meanwhile, India's lone woman Olympic medal winner Sakshi Malik and popular 'Dangal girl' Geeta Phogat also bagged a gold medal each in their respective weight categories of women's wrestling on the second day of the marquee domestic event. Geeta beat Ravita in the final of the 59 kg category. Sakshi finished on the top of the podium after posting a dominating 10-0 victory over Pooja of Haryana in women's 62kg, while Geeta also clinched the yellow metal Even Geeta's husband Pawan Kumar also managed to finish on top in 86kg. 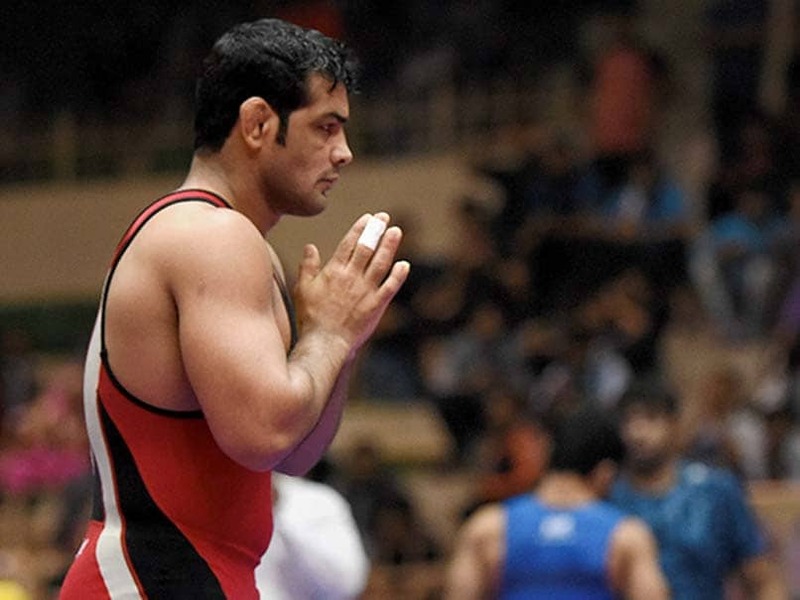 All eyes were on Sushil today and India's greatest individual Olympian hardly had to break sweat as India international Parveen Rana decided to concede his bout against the 34-year-old. Rana reportedly was carrying a niggle which could have been aggravated had he fought the bout. Earlier, it was Sachin Dahiya gave him a walkover in the semifinals, enabling his smooth passage to the gold-medal round. 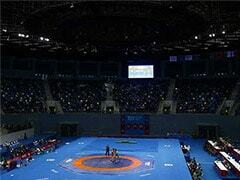 In the quaretfinals, Praveen had also given his more fancied opponent a walkover. Earlier, Sushil showed that class is permanent as he took less than two minutes to get past his opponents in the initial rounds, before three of his rivals gave him a walkover. Sushil overpowered Mizoram's Lalmalsawma by technical fall in 48 seconds in the first round and then pinned down Mukul Mishra in just a minute and 45 seconds in his next bout. Geeta had registered a come-from-behind win to make it to the finals of 59kg with a 8-4 result over Sarita Mor 8-4 in her semifinal bout. 48kg: Ritu (Gold), Nirmal Devi (Silver), Preeti (Bronze) & Sheetal Tomar (Bronze). 53kg: Seema (Gold), Pinki (Silver), Priyanka (Bronze) & Diksha Tomar (Bronze). 55kg: Vinesh (Gold) Manisha (Silver), Swaranjeet Kaur (Bronze) & Reena (Bronze). 57kg: Pooja Dhanda (Gold), Sangeeta (Silver), Rani Rana (Bronze) & Indu Tomar (Bronze). 59kg: Geeta Phogat (Gold), Ravita (Silver), Sakshi (Bronze), & Sarita (Bronze). 62kg: Sakshi Malik (Gold), Pooja Tomar (Silver), Pooja (Bronze) & Manju (Bronze). 65kg: Ritu Malik (Gold), Gargi Yadav (Silver), Shilpi Sheron (Bronze) & Ishika Tomar (Bronze). 68kg: Divya Kakran (Gold), Monia (Silver), Kusum (Bronze) & Pinki (Bronze). 72kg: Kiran (Gold), Manu Tomar (Silver), Naina (Bronze) & Kamini (Bronze). 76kg: Pooja (Gold), Kavita (Silver), Jyoti (Bronze) & Rani (Bronze). 65 kg: Sonu (Gold), Praveen (Silver), Surjeet, Karan (Bronze). 86 kg: Pawan Kumar (Gold), Deepak (Silver), Surajvir, Deepak Punia (Bronze).